Florida Cup Fan Fest at Universal Studos Florida. Don't miss out! 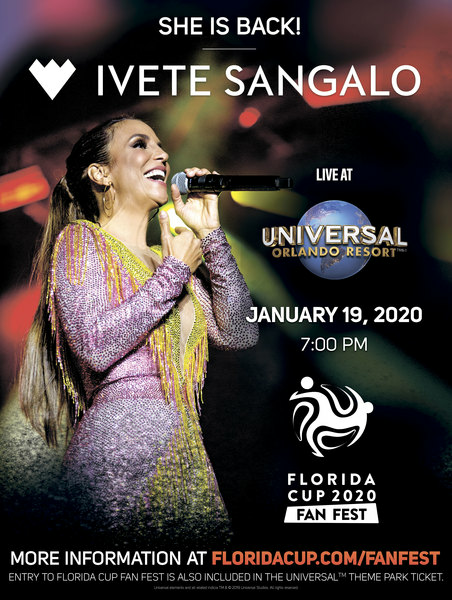 Superstar Ivete Sangalo Returns to the Florida Cup in 2020! 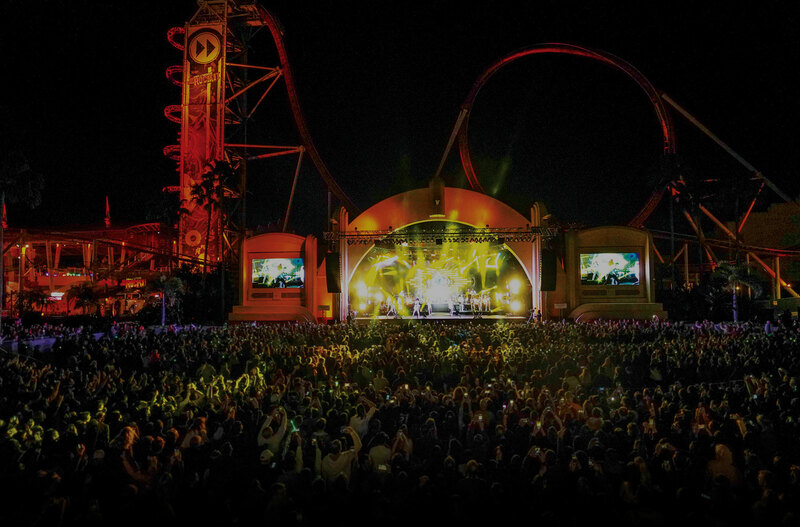 The concert will take place at the Music Plaza Stage at Universal Studios Florida. Entry to Florida Cup Fan Fest is also included in the Universal's theme park ticket. The Florida Cup Fan Fest is where fans from around the world can come together to watch live concerts and games, while celebrating with friends a great event full of unique experiences. Travel packages which include game tickets, accommodations at a Universal Orlando Resort, Florida Cup 5K Run and entrance to the theme parks, are available and can be purchased through the Florida Cup’s Authorized Tour Operators. To reserve a vacation package to Universal Orlando and the Florida Cup, or for additional information, please contact your preferred travel professional.